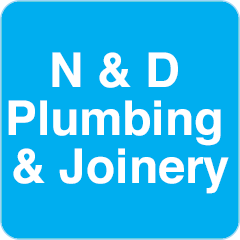 N & D Plumbing & Joinery have been established for many years working throughout the Wakefield and West Yorkshire areas. They have the knowledge and expertise needed to ensure that you receive nothing but the best service. Their reputation has been developed through hard work and reliability which is why they are the area’s number one choice for plumbing & Joinery related work. They can supply and fit or supply only. Their work consists of Kitchen and bedroom upgrades, sliding wardrobes, bathrooms and if you need they can offer a full project management service. To discuss your requirements, to talk through your options or to obtain a free quotation please give us a call.